As flowers, jewelry and chocolates flood the stores, why not think outside the box of chocolates and book an unforgettable romantic getaway with that special someone? 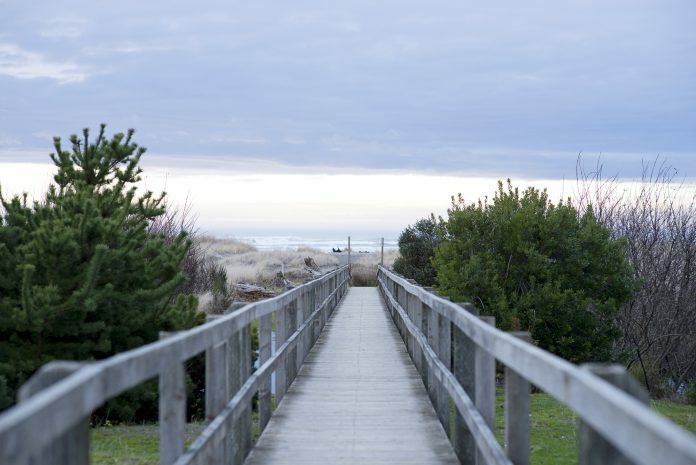 As Valentine’s Day quickly approaches, an escape to the rejuvenating seaside at the Quinault Beach Resort and Casino (QBRC) in Ocean Shores is a sweet way to spend the holiday. From the casino games to the delicious on-site restaurants to the spa options, relaxation and romance awaits all couples at the QBRC. It’s easy to make a stay at the QBRC on Valentine’s Day a holiday to remember with so many amenities for couples to love. The Romance Package. Treat your sweetheart to a two-night stay between Sunday-Thursday and experience the carefree casino vibe and comfortable rooms that the QBRC has to offer, with rates beginning at the low price of $199. Guests can make their stay extra special by booking an ocean view room for only $20 more. 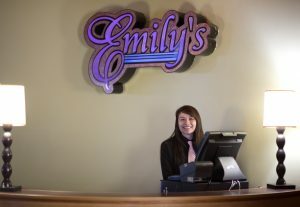 The package also includes complimentary strawberries, champagne and a $100 dining credit at the superb Emily’s restaurant that visitors won’t want to miss. Book the romance package today to reserve a room as the packages are based on availability. The Gaming. Come stay and win at the QBRC with lots of table games to entertain couples throughout the day. Enjoy casino favorites such as blackjack, craps, roulette, emperor’s challenge pai gow, players edge 21, 3 card prime, and so much more, with table limits ranging from $3 to $250. Guests can also earn points by playing the slot machines or table games that go towards other treats at the casino, like hotel stays, dining, and spa services with the Q-Club Rewards Program. The Restaurants. Indulge in a romantic dinner and let the conversation flow while you enjoy the fine dining at Emily’s oceanfront restaurant. 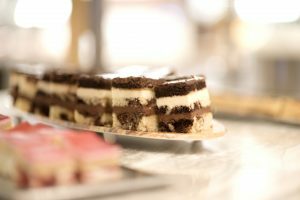 With a mouthwatering menu that hosts fresh dishes all with a signature Northwest flair, not only will hearts be happy, but bellies full and satisfied from the outstanding services and meals served. On Valentine’s Day, guests can indulge in a scrumptious filet and lobster special with a flourless chocolate torte for dessert for $60. For a quick bite to eat before you and your sweetheart hit the slots or go for a casual swim, the Sidewalk Bistro is the perfect stop with sandwiches, wraps, salads, chowders, and beverages. Another quick stop Fireside Coffee bar that offers fresh, light refreshments and of course, a well-crafted cup of coffee or other beverage. The Spa Services. The ocean waves and crisp winter air will have you feeling refreshed. The perfect addition is a relaxing massage. Surprise your Valentine with one of the several fantastic massage options at the QBRC and book one for yourself, too. Prices range from $49-$149, so pick the experience that will have any tension and stress gone with the ocean breeze. The Lounge. The Ocean Lounge is open every day from 8:00 a.m. to 2:00 a.m. and has that low-key vibe that will set the tone for a peaceful outing. The lounge offers an assortment of adult beverages and is a great place to dance or listen to the free live entertainment that is provided throughout the week and weekend and is an ideal spot to relax with the one you love. The Gift Shop. Take a stroll through the gift shop and find the perfect memento to mark a special Valentine’s Day. 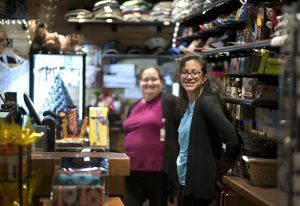 With a wide range of items that will make it easy to find something for everyone and with the helpful and friendly staff, guests will find themselves right at home. Check out a lovely jewelry selection that would make an exceptionally special gift or choose a nice wine or a piece of cozy clothing to enhance a stay at the QBRC. The Hot Tub. After a full day, a few minutes in the spacious hot tub is a great place for couples to quietly unwind with adult-only hours from 9:00 p.m. to 12:00 a.m. every night. The beautiful and heated indoor pool also offers plenty of space to go for a refreshing swim or lounge poolside with your valentine. The Beach. The breathtaking ocean is just a few steps away from the casino with the calming sound of the waves never far from your ears. The February temperature may be on the cooler side, but don’t let that hold up a leisurely jaunt out to the coastline going hand-in-hand with your sweetheart to take in the sight of the rolling waves, shorebirds, seashells and tranquil dunes. The Room Service. Sometimes a getaway means keeping things simple and the excellent room service options available makes that possible for those couples wanting to unwind and dine in the comfort of their rooms. From 11:00 a.m. to 9:00 p.m., guests are welcomed to call for room service where a broad menu of food and beverages is available for delivery. For a complete list of services, visit the official Quinault Beach Resort and Casino website or call 888-461-2214 for more information or reservations.